We don't know about you, but every time we use social search, we feel like a feisty young Sarah Michelle Gellar running about staking vampires with the Scooby Gang in tow and getting by on an infeasibly small amount of sleep. Well, that's a lie. 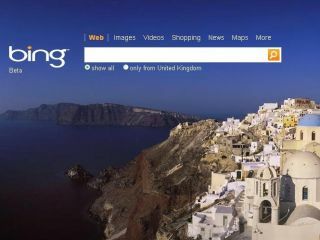 We never feel like that – but Microsoft does, with Paul Yiu, a Microsoft program manager in Bing's social search team, likening friend-powered search to Buffy the Vampire Slayer. "I compare the difference between search and social search to Knight Rider and Buffy the Vampire Slayer," he said in conversation with the Microsoft News Center. Don't worry – he does go on to explain. "Knight Rider is one man and one machine doing stuff – and doing a decent job. But Buffy had a bunch of friends that helped her. Social search is more like that – where your friends help you with what you're doing on the Web, whether it's where to eat or where to stay in Tuscany." Tuscany? We think he means Sunnydale. Anyway, while it does make sense, it's a fairly pointless analogy because Yiu's really just saying that social search is – wait for it – social. But next time you're at home in your pyjamas casually image searching Ryan Gosling carrying a dog or looking up the how to wash cooking oil out of a goose-down pillow (don't ask), just remember that you're channelling either Buffy or Michael Knight. It'll make you feel much cooler than you actually are.